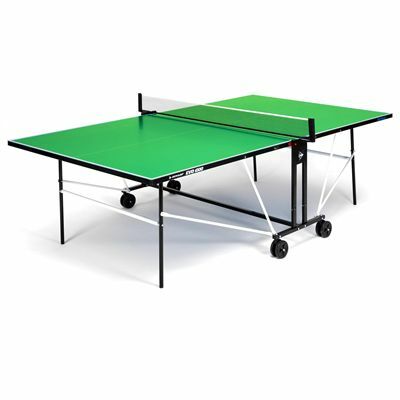 The Dunlop EVO 1000 is an easy to fold outdoor table tennis table featuring 4mm premium Dunlop fully weatherproof melamine composite playing top which is impervious to rain, direct sunlight and frost. 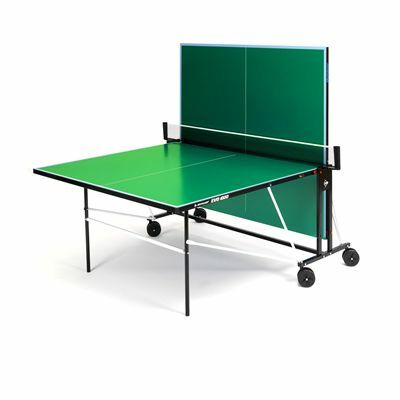 The table can be left outside all year round without the risk of deterioration and offers a robust steel construction with 3/4 steel side panel. 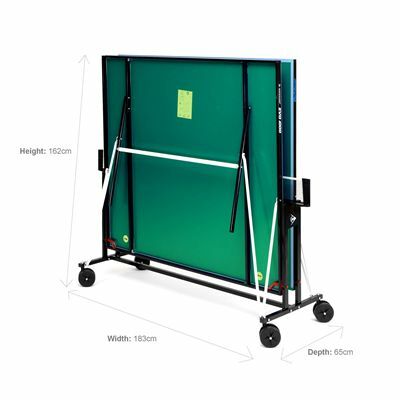 It utilises adjustable feet for a level playing surface and has an integrated net and post system with height adjustment. 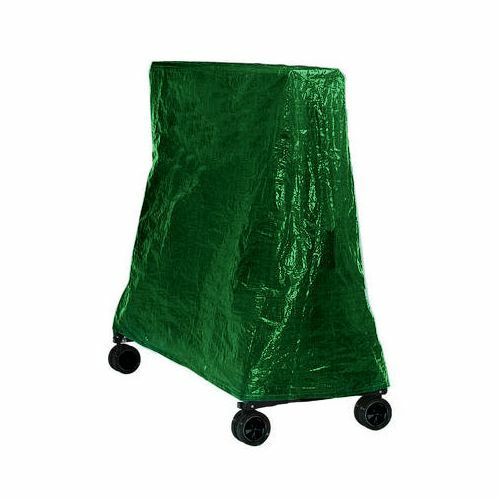 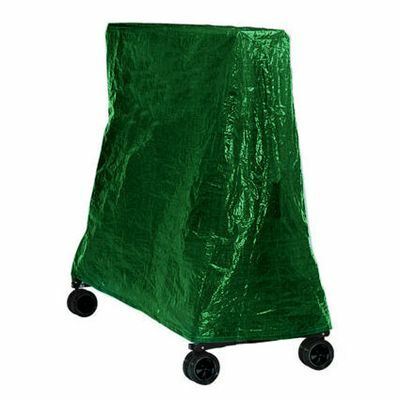 The EVO 1000 is designed for use in the home or garden and suitable for lighter school use such as after school clubs. The heavy gauge metal edge banding (30mm x 15mm) enhances durability and provides continued flatness of the top, whereas the steel colour coded frame struts (16mm x 16mm) ensure secure support of the playing top. 4mm premium Dunlop fully weatherproof melamine composite playing top impervious to rain, direct sunlight, frost etc. 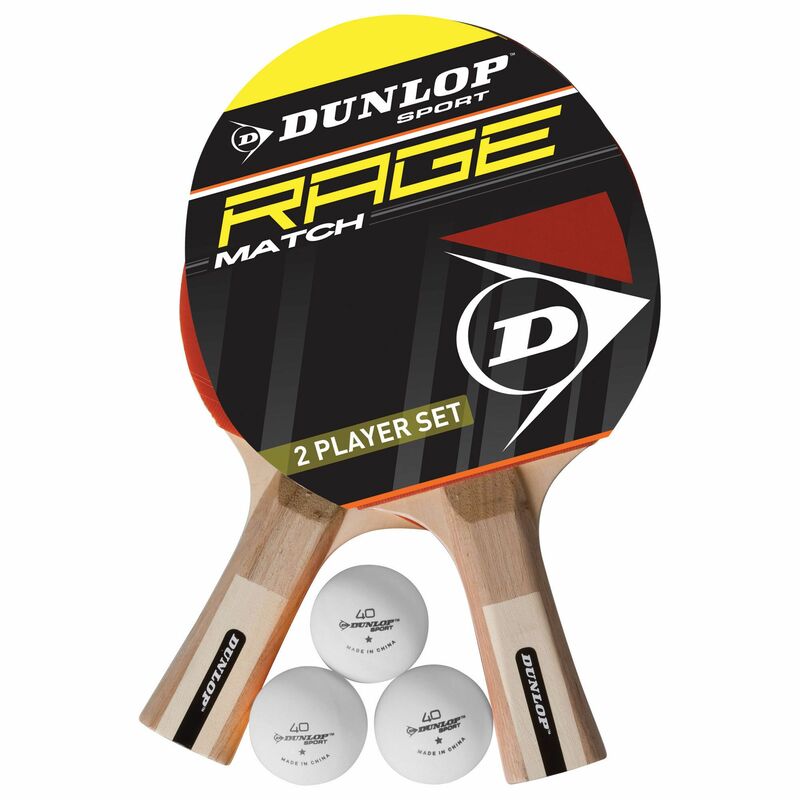 for submitting product review about Dunlop EVO 1000 Outdoor Table Tennis Table.